Converts your Amiga A500 into a CDTV or you can just use it as a CD-ROM. Requires A500 for full CDTV, but works really well with an A500. A570 utilities floppy disc. DEMO II CD from Almathera. Amiga A500 1mg (512K 512K expansion). Amiga Mouse. A2000 / A500 Amiga Basic. Amiga disc - The Very First. Amiga disc - Extras 1.3 & Basic 1.2. Amiga disc - Workbench 1.3.2. Original A500 box. A500 User’s Manual. 240 Amiga Floppy Disks. Condition is Used. Dispatched with Royal Mail 2nd Class. Not been able to test them all, but most should be fine. New listingAmiga Cd Collection, 5 items in good Condition, Very Important See Description. 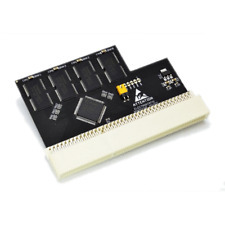 16 GB CF CARD for A1200 only Works on Rom 3.1 A1200 only Plug & Play Great for Whdload games Pre installed with OS 3.9 Classic Unlease the power of your Amiga Go back in time & remember when Games were fun to play These have been correctly partition with the filing system PFS3 and correct Max Transfer. Please remember I was the first to bring the CF Hard drive to the Amiga 8-9 years ago. If your software games crash ( Whdload ) this is because of incorrect formatting of drive or your memory card not set correctly. DH0: 500mb Workbench 3.9 DH1: 7 GB Games Public Domain DH2: 6.7GB Games1 Public Domain Memory card required to work 8mb recommended or better still 030 accelerator card. Demos Whdload from the demoscene from the public domain. All complete with 3.5” disks, original contents other than Batman. Format: Commodore Amiga, 500, 500 , 1000, 1200, 1500, 2000. Tested: Tested in March 2014 and all worked. Do not have an amiga to test again. Although I am reasonably knowledgeable with all things Amiga, I have given up on this one. Xcopy DF0: to DF1: [ ] w/verify COPIED, showing NO errors but then copied disk read with errors. Disk Check DF1: [ ] COPIED FILES / DISKS HAD ERRORS. Format: Commodore Amiga 500, 1200. Since then they have been kept in the box at room temperature in a smoke free house. Drivin Force (Digital Magic Software), 3. Dungeon Quest (2 Disks), 4. E-Motion (U.S.Gold) 5. 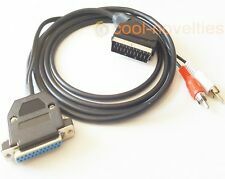 Amiga 1200 Games Bundle Condition is Used. Dispatched with Other Courier (3 to 5 days). Good condition and full working tested. If you are having problems while using a phone or tablet switch to a desktop PC. 81X AMIGA FLOPPY DISKS GAMES JOB LOT , all great games . Condition is Used. Dispatched with Royal Mail 2nd Class. I have done my best to sort these out into sets so hopefully you should have the disks you need to play. Commodore Amiga Bundle Of Disks. Condition is Used. Dispatched with Royal Mail 2nd Class. Untested bundle of 30 3.5in. No returns UK only. Any questions please ask, thanks for looking. Condition 9 out of 10. "Pirates!". for commodore AMIGA. Instruction Manual. Condition is Used. Disks (1 & 2) untested . Large A3 Color Map. Lemmings Amiga Game Disk Only. Condition is Used. Dispatched with Royal Mail 2nd Class. 1085s MONITOR (Rare as hens teeth). 2MB Upgrade for Amiga A570 CD-ROM. Tested working in nice clean condition. Check out specs online gets a good review. 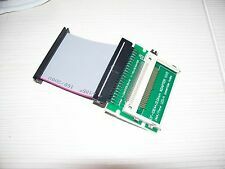 SCSI Card expansion for Amiga A570 CD-ROM. 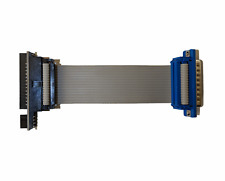 For attaching external SCSI devices only via the 25-way connector. The Instruction book isn't in the box, which I am confused by! Amiga Cd Collection, 5 items in good Condition, Very Important See Description.